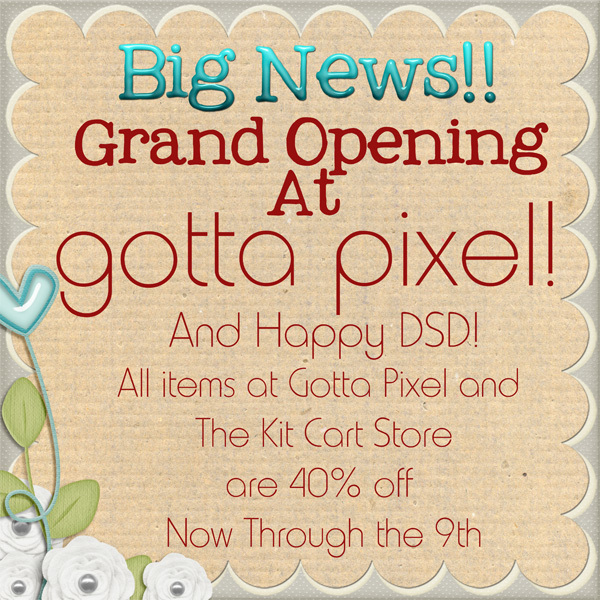 The Kit Cart: Free Mini Kit & Word Art Plus..DSD Sale!! Free Mini Kit & Word Art Plus..DSD Sale!! Did you get the new Fan Freebie mini off my Facebook Page?? You should cause its super cute!! Also did you know my NEW store at Gotta Pixel and The Kit Cart Store are both 40% off this week!! Whoop Whoop!! Happy DSD! 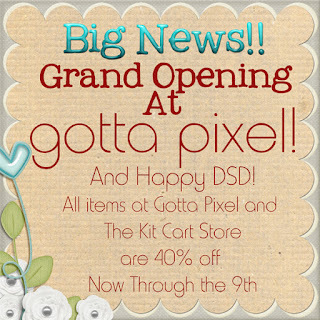 Click HERE to shop at Gotta Pixel or HERE for The Kit Cart Store! Scroll down for FREEBIES!! Click HERE to Go to the Facebook Page to get your Fan Freebie...simply become a fan a click the "FAN FREEBIE" Button!! Thanks for the fun word art for this darling kit! thanks for the wonderful gifts! congrats on the new store!